It is understandable that many people think that flooring is often overlooked. People may walk on it every day as they navigate their office, walk to their hotel room, or make their way to their next hospital appointment, but they are often in a rush. It is therefore easy to see why some individuals question the extent to which the quality and appearance of the floor is even noticed. But these individuals are forgetting some key points. First impressions count, and even hurried passers-by will spot when a floor is unclean. On the other hand a clean floor sends subliminal messages that the organisation cares about its appearance, its employees and its customers. This translates into a heightened reputation, improved employee morale and productivity, and can ultimately impact upon the company’s bottom line. If this is not enough to convince an organisation to professionally care for its flooring it is also crucial to remember that a dirty floor can be unsafe, and if an accident takes place this is something that certainly will not be overlooked. Knowing how to effectively care for your flooring can be a challenge, which is why Alphaclean has launched a series of specialist ‘How to…’ guides. This one focuses on the professional care of carpets. Whether you have a vast conference hall floor covered with carpeted tiles, or a boutique hotel room with the deepest pile carpet on the market, the right cleaning equipment will help you protect this valuable asset. And whether you want to maintain the appearance of your new carpet and prolong its lifespan, or restore a tired and dirty carpet that appears beyond repair, there is advice in this guide to help you. With the help of external specialists if required, ensure a plan is in place from the outset, to maintain the quality and appearance of your carpet. There is more to professional carpet care than simply daily vacuuming, so it is important to schedule the right cleaning activity, at the right time, and using the right cleaning equipment. Even if your carpet is already starting to display signs of deterioration, a plan of action can be devised to maximise the longevity of this valuable flooring. A very aged and unsightly carpet can still be transformed to reveal signs of its former youth. However, carpet owners cannot be expected to remain abreast of carpet cleaning innovations, so you may not know exactly what is possible. Speak to cleaning equipment and carpet care specialists whose job it is to restore stained and dirty carpet back into fresh, clean assets. Increasingly robust technologies are being engineered by cleaning equipment specialists to tackle even the toughest carpet stains. These are known in the industry as carpet extractors. It can be difficult to understand what differentiates one carpet extractor from another, however the extensive range of technological options on offer is actually a good thing for the cleaning industry. It means that there is a solution to suit all businesses regardless of the sector in which the products will be used, and the budgets available. 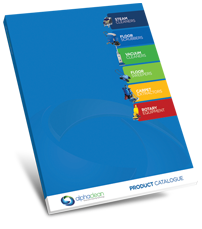 Alphaclean’s ‘Buyer’s guide to floor cleaning equipment’ has been prepared to empower customers to make the right purchasing decision. This will be a valuable resource when choosing the right carpet extractor for your needs. However, we also have some additional recommendations, specific to carpet extractors, to help guide you through the process. Measure the size of the carpeted area you wish to clean as this will influence what type of carpet extractor is right for you. If the space is only small, a compact and easily manoeuvrable extractor should be sought. Such machinery is also perfect for tight areas that are difficult to navigate, such as small restaurants or desk-filled offices. Of course the solution tank will inevitably be smaller, but this shouldn’t be a problem for less large areas. These portable machines are perhaps the most versatile and economical. However, the greater the expanse of carpet to be cleaned, the more consideration should be given to a higher capacity solution tank. This minimises the amount of refilling required, enabling greater cleaning productivity. If the extractor is to be moved up and down stairs, for example in a hotel or office facility, large non-marking wheels will also aid ease of transport. For bigger carpet cleaning jobs, such as those in banqueting halls, lobbies or long hallways, a self-contained extractor is usually recommended. With vacuum, pump and brush motors – often controlled separately – such equipment has the ability to clean a large carpet width in a single pass, delivering maximum productivity. With the right in-built technology, many of these self-contained machines will also leave the carpet virtually dry, perfect for busy locations such as hotels. An extractor will deliver greater flexibility if it comes complete with additional fixtures, such as upholstery tools, floor tools which are perfect for stairs, and long expandable hoses. A 6m hose for instance, means a large capacity area can be covered without even needing to move the machine. Stainless steel wands deliver durability, whilst some have even been ergonomically designed to ensure ease of use for the operative. The technology within the wand is important too. Innovations such as air induction heads, for instance, exist to atomise high velocity solution, which then penetrates and scrubs each individual fibre. A wand also has the power to keep the solution under constant vacuum control and can recover the solution simultaneously too. A two-stage spray extractor works by firstly squirting the cleaning solution onto the soiled carpet, before a vacuum motor extracts the dirt and stains. For tougher cleaning jobs, three stage motors and motors with a higher wattage deliver greater water lift, and therefore a more powerful extraction. In addition to maximum solution recovery, bigger motors also minimise carpet drying time. This is not only more convenient for busier locations and jobs with a limited cleaning timeframe – a drier carpet improves indoor air quality too. Scrub brushes can also help remove more difficult stains by agitating the carpet, and floating brush heads maintain contact with the carpet for improved agitation. For the more restorative cleaning of heavily soiled carpets or fibres engrained with dirt, a hot water extraction provides a more powerful carpet care solution. 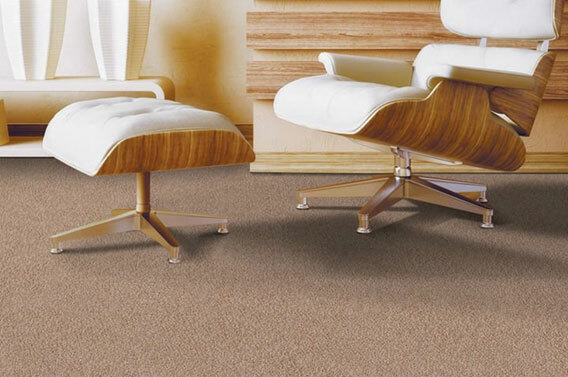 It dissolves the dirt, including grease and oil, and reduces the level of biological contamination in the carpet. A system with adjustable temperature regulation, capable of maintaining the water’s heat, is ideal here. It is important to note however, that for more ordinary carpet cleaning a cold water extractor will no doubt suffice. This is because the technologies within cleaning equipment are purposefully designed to loosen, lift and remove dirt, so a higher water temperature is not required. Cleaning equipment manufacturers acknowledge that things don’t always go to plan, and sometimes a cleaning requirement can be slightly more urgent. Some machines have therefore been specifically designed for interim cleaning too. These carpet ‘spotters’ are perfect for ‘touch up’ jobs that take place between scheduled maintenance activity. This is great for varied businesses from healthcare to restaurants, and so many more. Often these spotters are portable and compact, which is ideal for cleaning more congested areas of commercial outlets such as restaurants, hotels and catering facilities where larger extractors will not fit. Whilst you will understandably have to consider the cost of the extractor, making an equipment purchase solely on the basis of price is not recommended. Lower cost, poorer quality products could be more expensive in the long term, due to inadequate efficiency, power, durability and the cost of on-going maintenance. It is also important to consider if the extractor can meet your on-going cleaning needs, well into the future. If it can’t, then reinvestment will be necessary, which is not ideal. Effective carpet care requires more than a regular vacuum, which is why a good quality carpet extractor is so important. Using an extractor on a periodical yet routine basis, will ensure grease and dirt is removed from the carpet, before it can penetrate the fibres and cause any permanent damage. It is hoped that this guide will provide a helpful starting point, when researching which carpet extractor is the best fit for your organisation. Remember though, that no two companies are the same. Ensure that, whichever extractor you choose, the specification is suited to your specific requirements.